These are just a few of the accolades describing sterling silver jewelry. Personally, I’ve always been a fan of silver rather than gold. Maybe it’s because I grew up in the southwestern United States and admired so much Native American jewelry that I now I have an affinity for it. Who could begrudge me my obsession with silver jewelry? It works with everything, whether it’s smooth, hammered, or hand-stamped, and it’s an excellent canvas for gems and stones. It’s also versatile and never goes out of style. Your crash course into the world of silver starts below! Pure silver or fine silver (99.9% pure, or ‘three-nines-fine’) is actually very soft, which means it is not optimal for jewelry production. Because of the softness, most ‘silver’ jewelry is an alloy, which is a mixture of two or more metals. Sterling silver is one of those alloys. In order to be considered sterling, the silver has to contain 92.5% silver, with the remaining 7.5% another type of metal. After many years, copper was found to be the best addition to silver for jewelry. Copper improves the durability of silver without affecting the color. Don’t confuse this with silver plating, which is when a piece of metal is covered in a thin piece of silver and can be scratched or worn off over time (think vintage tableware). There are differing interpretations with this particular term. 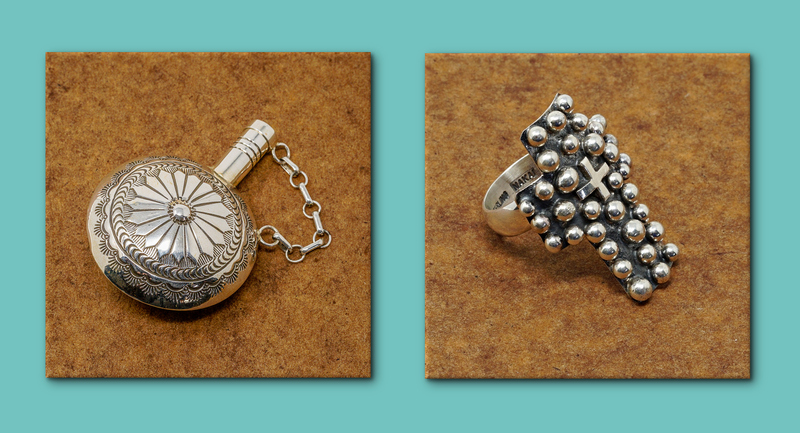 Mexican Silver could mean the country of origin where a piece was produced. It can also mean a craftsperson in Mexico who has created a piece of jewelry out of silver; the silver may or may not have come from Mexico. Or they might be speaking of Mexican sterling silver, made into jewelry in Mexico. Silver mining was and continues to be a lucrative industry for our southern neighbor. The Mexican town of Taxco is known for their excellent silversmithing; people visit the area every year specifically to purchase their sterling silver jewelry. Most sterling silver will come with a quality mark or stamp incised on the piece which signifies it is indeed the real deal. 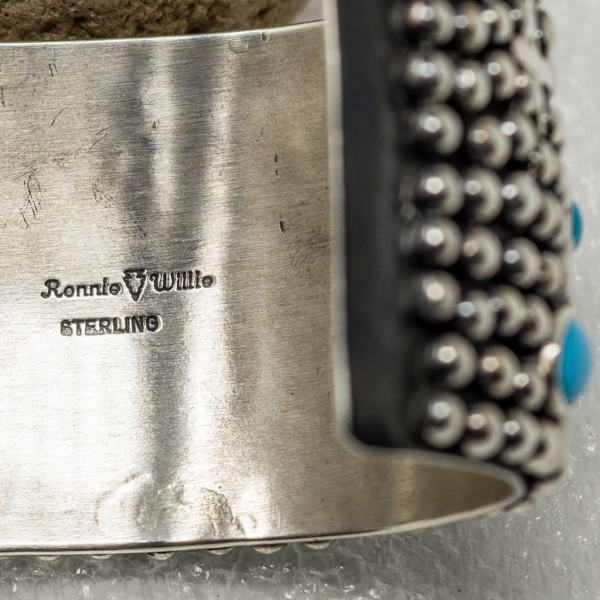 For example, many sterling silver pieces are marked ‘925’ (92.5% silver) or are stamped ‘sterling’. Reputable jewelry shops with experienced staff trust the sterling mark. It is not required that silver carry quality marks, and not all silver jewelry will be stamped. Many older Native American pieces, for example, won’t have a sterling impression. This doesn’t mean it’s not sterling (a stamp was an added expense for designers back then), so don’t use this as your only means of authenticating your jewelry. Hallmarking is the equivalent of trademarking or signing your jewelry, but not everyone does it and it certainly isn’t required. There are many ways to tell if you’re looking at sterling silver. You can use a very strong magnet and hold it against your jewelry– it shouldn’t stick. Silver, gold, and platinum are all non-magnetic metals. Additionally, sterling silver should have no scent. It’s said that nitric acid applied to low-quality silver or silver plated items will turn green: if you opt for this testing method, we recommend exercising caution. Because sterling silver has a very high thermal conductivity, it melts ice quickly; many use this as a test. Perhaps the best and easiest way is to purchase your sterling silver jewelry from a trusted, reputable dealer or shop. Always ask questions and if you’re not satisfied, move on. Not surprisingly, there are many metals out there that bear the name ‘silver’ and are not. That doesn’t mean they aren’t quality metals: they just aren’t sterling. German or Nickel Silver is an alloy of copper, zinc, and nickel, and were a cheaper alternative to sterling silver in the 1880’s. These types contain no silver at all, but look very much like it; items created from these materials are admired and have been around a long time. Alpaca Silver, as another example, contains copper, zinc, nickel, and tin– but no silver. These ‘faux silver’ products are usually much cheaper than sterling silver, and if used in jewelry, may turn your skin green. Once you’ve purchased your authentic sterling silver jewelry, it’s very important to take care of it. Sterling silver can tarnish; the trick is to wear it all of the time, with a quick occasional polish. You should know there are certain places to avoid while wearing your jewelry. Swimming pools, hot tubs, saunas– even showering– are to be avoided while wearing sterling; performing household or outdoor chores, cooking, exercising, and even applying lotion are all sterling silver no-no’s. While plain water will not harm your silver, most of the water we’re exposed to has been treated chemically, so it’s best to remove the item when you’re around water. Dullness can occur even if you avoid all of the above, but luckily sterling silver cleans up with a simple polishing. 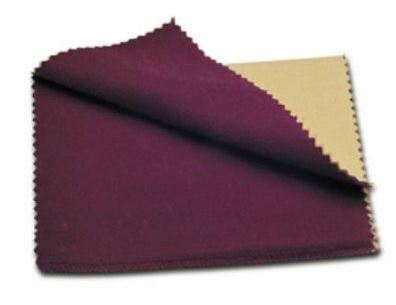 Use a microfiber cloth or a jeweler’s rouge (polishing cloth) with long strokes to polish the tarnish away. Regular cleanings will help keep the tarnish down; your sterling silver will sparkle day and night. Special note: for sterling pieces with high relief stampwork, a simple swipe across the highest point will add an enhanced dimension and contrast nicely with the deeper areas of the silver. 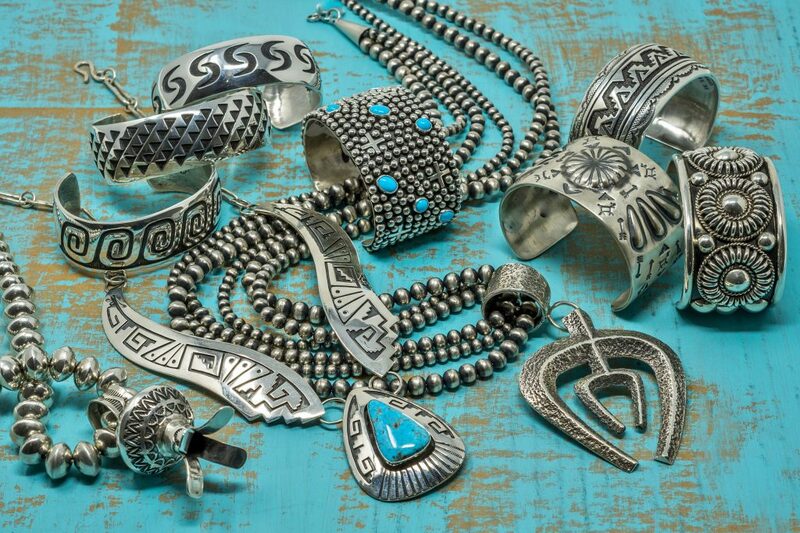 At the Pickle Barrel Trading Post in Globe, Arizona, you’ll find a vast array of sterling silver jewelry for your review. We carry bracelets, necklaces, and earrings by some of the top Native American silversmiths, including Tommy Jackson, E.M. Teller, Ronnie Willie, Sunshine Reeves, and Andy Marion. You’ll find bolo ties, money clips, and vintage pieces, too. Whether you visit us in-store or online, it’s easy to find elegant, fun, classic, and unusual additions for your jewelry collection.